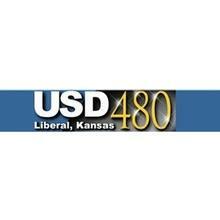 LHS administration presented their five year plan to the USD 480 Board of Education Monday night. It’s a five year visionary plan called LHS 20/20. The principals laid out goals for five years for improving LHS. Improvements focus on academic experience, student life, faculty and staff, facilities, athletics and activities, and community partnerships. The board voted to explore the cost of asbestos abatement and demolition of McDermott and Garfield. McDermott is currently being used for storage while Garfield has students through the end of this school year. The board has committed to make Southlawn the Early Childhood Education Center. Preschool is currently at Washington. The board bought two new work trucks for the district. One is for maintenance and one is for grounds. The trucks cost $25,800 a piece from Elite Motors.